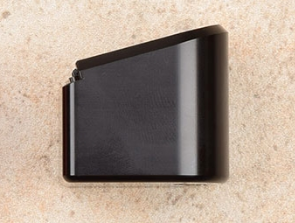 This basepad is designed by shooters for shooters for the SIG MPX magzine and can add up to 10 rounds in 9mm. These are made from high quality aluminum and hard anodized to provide an ultra durable platform to support the MPX magazines. Our extentions are easy to remove and clean. Whether it is for duty use, competition, or recreation, this is a great addition to your MPX. For use with the 20 and 30rd mags only. We now offer an extra power magazine spring for the MPX extensions. It is not necessary for normal feeding and functioning, however, it may be necessary for slide lock functionality after last shot fired.